Denver, Colo., Feb. 25, 2015 – Last week The International Erosion Control Association Region One (IECA) named its 2014 Environmental Excellence winners at Environmental Connection 2015 in Portland, Oregon. Jason (J.P.) P. Johns, PE was announced as the Sustained Contributor; Brad Flack, CPESC, CESSWI was awarded the Young Professional of the year; Construction EcoServices was named the Contractor of the year; and Guatemalan Sediment and Erosion Control Association was awarded the Organization of the year. J. P. Johns, PE has been active in the International Erosion Control Association since 2000, has been a member since 2002, has been member of the Erosion and Sediment Control (TS‐6) Technology Section Committee, and has been the South Carolina state representative since 2007. For the past 7 years J.P., with the assistance of TRI Environmental, has been the chairman in organizing the annual. The Sustained Contributor Award recognizes an IECA member who has provided distinguished service to the IECA and has made outstanding contributions to improve the erosion and sediment control/stormwater industry for a sustained period of time. Brad Flack, CPESC, CESSWI has earned his designation, among select thousands in the world, as a Certified Professional in Erosion & Sediment Controls (CPESC) as well as his designation as a Certified Erosion, Sediment and Storm Water Inspector (CESSWI), lending his experience and training to his customers to consult them in all of their storm water needs. He has served as the Administrative Vice President of the South Central Chapter of IECA and will serve as President for 2015‐2016. He has served the Technical Vice‐Chair for the Council, and is Co‐Chair on the Education Committee: Stormwater Management Track for the IECA Region One. He is also an IECA Mentor. The Young Professional Award recognizes IECA member 35‐years old or less who demonstrates excellence in their work in the industry and is viewed by his/her IECA peers as an emerging industry leader through significant engagement with the IECA. “In my career I can see nothing but an internal drive to perform and provide the best services to my clients, as well as provide insight and knowledge to my colleagues, and if possible I hope that my work will be a way to inspire others to work at sustainably and affordably protecting our soil and waterways,” says Brad Flack, president of Storm‐Tex Services. project in Houston, Construction EcoServices, as a member of a team led by Design Workshop, was selected by the American Society of Landscape Architects for a Green Street Demonstration Project to be constructed in the historic Chinatown district in Washington, D.C. The Bagby Street project is also a finalist for the Urban Land Institute (ULI) Development of Distinction Award. The Contractor of the Year Award recognizes those contractors who have demonstrated excellence in the field execution and application of effective erosion and sediment control and stormwater practices. “On behalf of the entire Construction EcoServices team, I am happy to accept the Contractor of the Year award from the IECA. This recognition is the result of the collaborative efforts by our CES staff to innovate and deliver value. We are truly honored to receive it,” says John Moss, Business Development Director for Construction EcoServices. Juan Carlos Hernandez accepted this award on behalf of the Association Guatemaleca de Control de Erosion (AGCES). Juan Carlos is the head organizer for CICES VII and is president of AGCES. As a non‐profit entity, AGCES aims to develop strategies and programs for the prevention, management and integrated control of the soil resource and all those themes that are binding. The Organization of the Year Award recognizes an organization that supports the erosion and sediment control industry. Nominees must have achieved environmental enhancement through the successful application of an effective erosion and/or sediment control practice, program, or partnership. They must also offer continuing education to the erosion and sediment control/stormwater industry or make other contributions to the industry relative to education, research, or technical advancement. 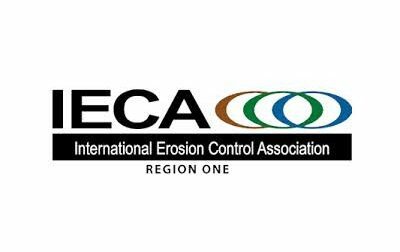 Founded in 1972, the International Erosion Control Association (IECA) is a non‐profit organization devoted to serving as the premier global resource for the prevention and control of erosion and sediment related problems. IECA is the world’s oldest and largest association devoted to helping members’ solve erosion and sediment control problems. To sustain its mission, IECA hosts an annual conference for industry professionals, which includes continuing education on the latest technologies and findings, and the industry’s largest exhibit of related materials, products and equipment. In 2012, IECA formed Region One and Region Two. Region One consists of North America, South America and Europe; Region Two consisting of Africa, Asia and Australia. For more information about IECA, please visit their website at www.ieca.org.